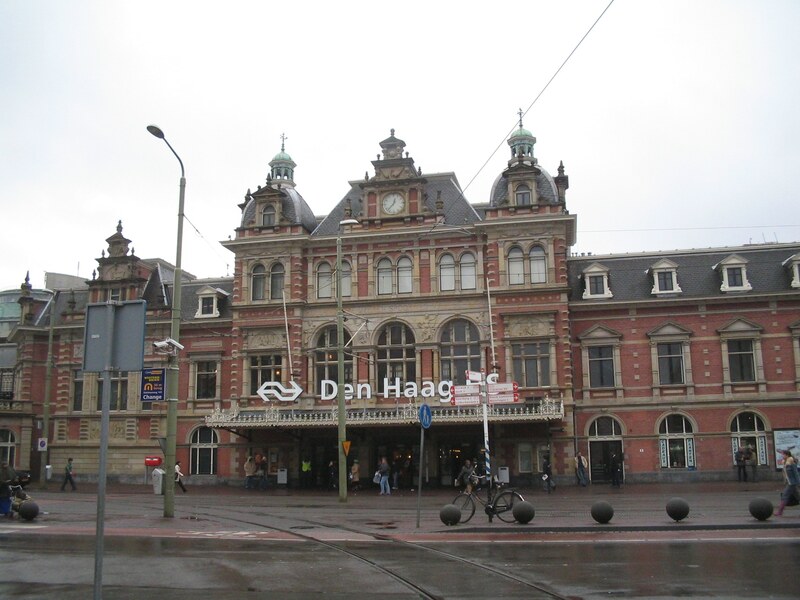 The Hague (in Dutch: Den Haag) is the capital city of the province South Holland. With over 500 thousand inhabitants it is the third largest city of the Netherlands (after Amsterdam and Rotterdam). 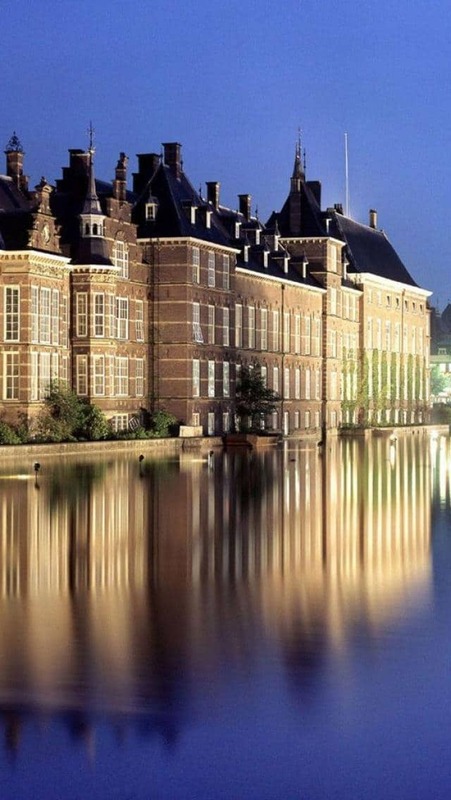 The Dutch government and parlement are located in The Hague, this might seem strange as The Hague is not the capital city of the Netherlands. You also might know The Hague as The International Court of Justice and The International Criminal Court are located in the city, both are often referred to in news programs around the world. The first recorded historical reference to The Hague is circa 1230 when a lodge, for hunting, was built there by Count Floris the fourth. This was rebuilt as a castle in 1248 by his son William the 2nd. The name, The Hague, is based on the word for hedge as an enclosure where the building was set. More buildings, such as the Knights Hall, were built close to the castle and it eventually came to be the home of the Counts of Holland. 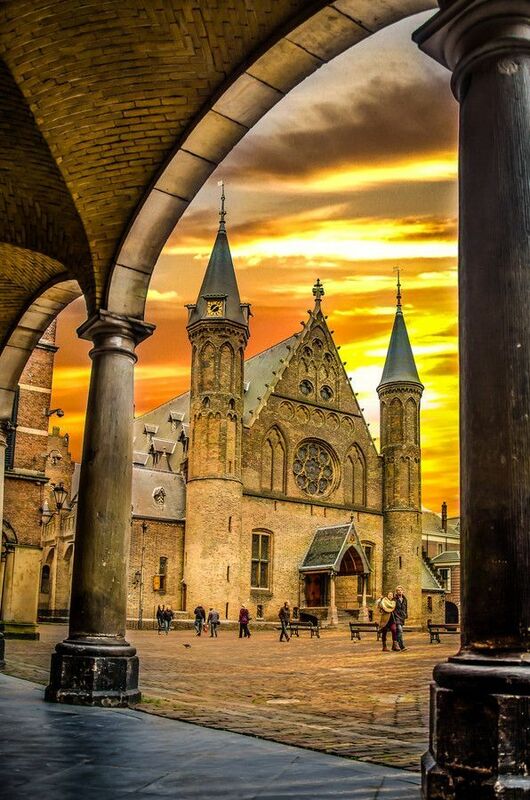 These buildings can now be found in the old quarter, Binnenhof. A lake was built close by this area in 1350 and is still there today. This area, in the late 1200’s and the 1300’s, became an center of commerce and the area grew as trading flourished with many merchants coming to the district. In the 16th century when Holland was under rule from Spain, The Hague was established as the center for the Dutch and later, under William the 1st, it became the capital of the Netherlands. In 1585 all of the main bodies of the Dutch government moved into the area, further establishing it as the center of power in the country. Although it is no longer used, The Hague, in the 16th century was named Gravenhage, this roughly translated as “The Counts Wood”, harking back to its origins as a hunting lodge. in 1575 the whole area came under threat of demolition As the lack of city walls made it almost impossible to defend, as when it was overrun by the Spanish at the onset of the “80 years war”, but this idea was abandoned after the intervention of William of Orange. The area was finally granted city status in the early 19th century by Louis Bonaparte in the Napoleonic wars, after which the Netherlands and Belgium were formed into a single state, as The United Kingdom Of The Netherlands, although Belgium was once again separated in 1830 with Amsterdam remaining as the capital, but the government remaining in The Hague. The building of The Hague as a large city really started in 1850 with new residential areas being built to house government employees and also employees of the Dutch East India Company. The city encompassed the area of Looseduinen in 1923 as it grew even further beyond it’s boundaries. During the 2nd world war large parts of the city were demolished to make way for the “Atlantic wall” and in 1945 a residential area was accidentally bombed by the British who were attempting to bomb the V2 rocket site in a nearby park. After the war there was a massive building programs, both to repair the damage and to accommodate the growing population. Today the city is still expanding beyond it’s borders with new areas being annexed and new residential areas being built. The Hague has been the center for international law for centuries. It was once referred to as the “legal capital of the world” by then United Nations Secretary General Boutros Boutros-Ghali. Known as the City of Peace and Justice, The Hague is home to the International Court of Justice and the International Criminal Court. 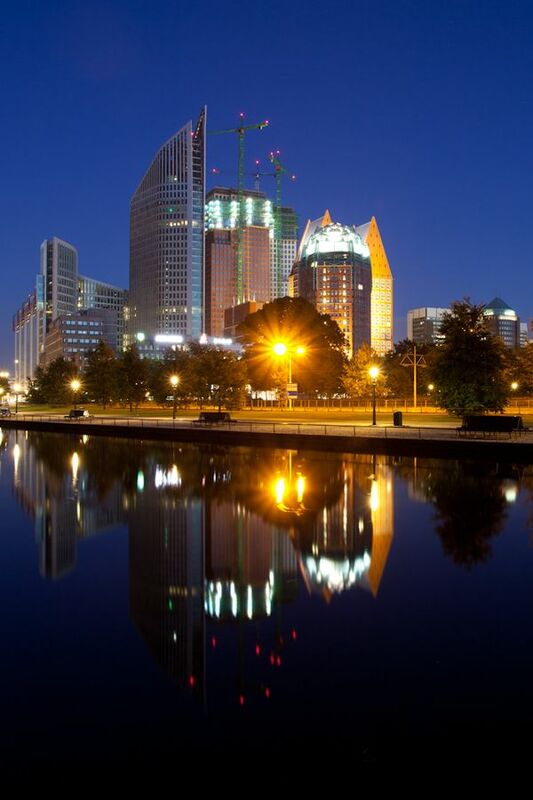 It is also one of the major cities hosting the United Nations; along with New York, Nairobi, Geneva, Vienna and Tokyo. 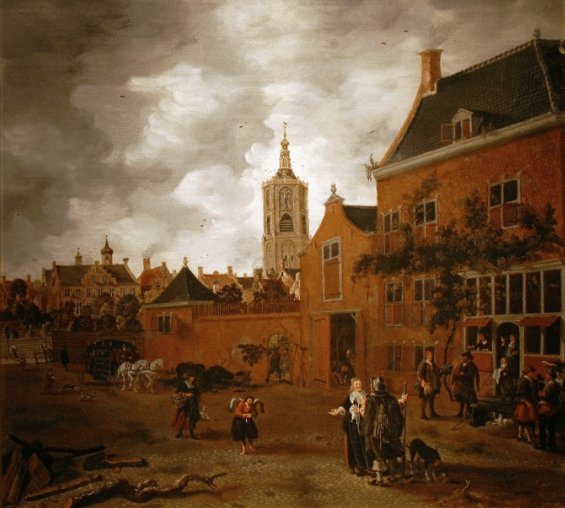 · Late 16th Century – The government of the Republic of the Seven United Netherlands was founded. · 1838 – Since this date the Supreme Court of the Netherlands has been based in The Hague. · 1893 – The Hague Conference on Private International Law was founded by Nobel Prize winner by Tobias Asser. · 1903 – Construction of the Peace Palace was completed and housed the Court of Permanent Court International Justice: the legal branch of the League of Nations. · 1946 – Court of International Justice is founded following WWII and is housed in the Peace Palace. · 1981 – The Iran-United States Claims Tribunal was founded. · 1990 – An explosion of the founding international bodies in The Hague, resulting in 160 such bodies in the city and surrounding area. 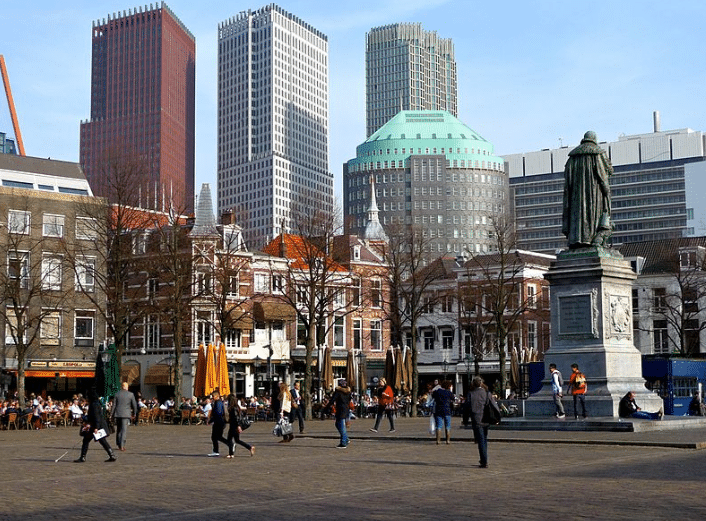 The Hague is a bustling, though not overly large, city of around 500,000 people. Transportation in the city is very affordable, clean and efficient. There is a good network of around 30 tram and bus routes that should be able to get you to wherever you want to go. There is also a regular light rail link. The main operators are, Conexxion, Veolia and HTM. Although there is not a full service operating at night, there are several night buses run by the public transportation company. The buses and trams in The Hague are paid for by using the OV-chipcard. These are a plastic card about the size of a credit card that you have to “validate” at the beginning and end of every journey. One of the best options is to get an HTM day ticket, it costs 7.70 euros, for the days travel on all trams, RandstadRail line and also the buses that are run by HTM. Although this covers you for all day trips, you will need to pay extra if you are taking the night bus. If you have a chipcard you can get the day ticket loaded on to that, but if you do not have one then you can get a paper ticket. Unfortunately you are not able to buy a day ticket on the bus, tram, or train, but they are sold in hotels, train stations, and the tourist information centers. The day ticket is valid from when it is first validated until the end of service that day. For single journeys, if you do not have a chipcard you can pay in euros. If you are traveling to The Hague by car and do not want the hassle of parking and driving in the city, there are 4 different “park and ride” terminals around the main roads that lead in to The Hague. If you want to travel by taxi you can flag them down in the street, phone to be picked up, or go to one of the many taxi stands that are around The Hague. Taxis are obliged to charge a standard fare that is the same throughout the country. But there is one company called Regio Taxi Haaglanden which charges a fare that is halfway between that of a bus or tram and that of a taxi.There are also cabs in The Hague that are quiet electric taxis. Possibly the best way of travelling around The Hague is by bicycle. All of the main streets and thoroughfares have cycle lanes on them and, due to the compact nature of the city it is often quicker to travel by bicycle than other means of transport. The Hague is a great city to visit. It has a wealth of history for the tourist to get to know, and it also, with it’s modern skyline looks firmly toward the future. it also has a wonderful coast on the North Sea and some great beaches, but it also has a more serious side as the government and legislature for the Netherlands is based here. There are also many royal palaces and monuments in The Hague and it is still home to many members of the Dutch royal family. The Hague is also known as the “City of Peace” as there are many national, and international organizations working to that goal. There are many are many great bars and restaurants in The Hague. And you will never be short of something to do in the evenings as there is a wealth of great nightlife there. The plein market and Grote market squares contain many clubs as well as some great places to eat. For the best shopping go to the Vlamingstraat and the Spuistraat. There you find a wide variety of shops offering fashion and designer goods as well as some more individual shops. but for real specialty shops and individual retailers you should visit The Hofkwartier, there are also upmarket fashion and footwear shops here. There are over 30 museums in The Hague, and there should be something for everyone. The Mauritshuis art museum has works from the grand masters of Dutch and Flemish masters, such as Rembrandt and Vermeer. The Louwman museum is a fascinating auto museum containing cars and vehicles through the ages. Museum Meermanno has some unusual and interesting collections, including one on 200 years of Dutch comics. The Hague, with its tradition and current political establishments, bars, cafes Amusement parks and museums really has something for everywhere and is a destination that is nit to be missed.. The Hague is a fascinating place to visit, especially so being the seat of government in this Netherlands. Although the center of the city is quite built up there are many greens spaces and some beautiful parks, fields and forests. One of the most fascinating of these is Clingendael Park, which is home to the wonderful Japanese Garden this was originally laid out in the early 1900’s by Marguérite M. Baroness van Briene. She undertook a number sea voyages to Japan, in order to bring back the plants, sculptures, bridges and the pavilion that grace the park today and give it it’s wonderful and unique character. Although it is free to go to the gardens, unfortunately, due to fragile nature of the area it is only possible to visit in the spring and autumn. But it is a fascinating place and well worth the wait. The Malieveld is a large grassed area in the center of The Hague, just near the Central Station. As well as being an excellent place for a picnic, or to enjoy the summer sun, it is also home to many events throughout the year, with a funfair and also a circus in the autumn. In contrast it is a favorite place for protests and political rallies, due to it’s central location. Another excellent place to relax is the Rosarium. It is a very well maintained Park where you can wander among a stunning display of flowers in the summer it is a very peaceful location in which to spend a quiet afternoon. As the name implies it is home to a stunning amount and variety of roses. The Haagse Bos is an ancient forest that reaches right into the middle of the city. Being in such a central location it is a firm favorite among the residents and workers of the area where they are able to spend awhile out of the traffic and buildings and amongst the grass and trees of the forest. It is also home to a large amount of wildlife in the shape of red deer and many different types of birds. Originally covering a much larger area it was reduced, both by the needs of the population, for land for building and wood for the war against the Spanish. But it was protected by a law that was brought in in 1576 and is still in force today. Although the Hague is a very busy place it has many beautiful parks and it is well worth taking the time explore them.